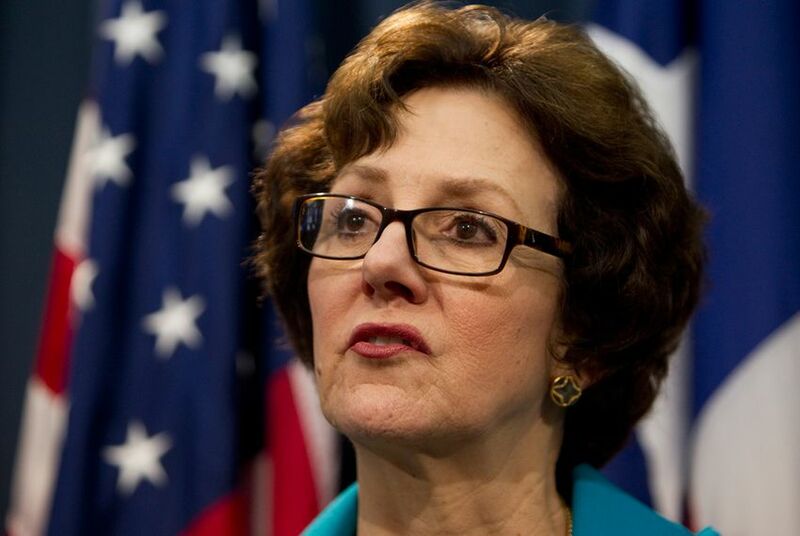 Susan Combs, the former Texas comptroller of public accounts, is joining the Texas Public Policy Foundation as a visiting senior fellow. Susan Combs, who until January was the Texas comptroller of public accounts, has found work at the state’s preeminent conservative think tank. The Texas Public Policy Foundation announced Monday that it has added Combs as a visiting senior fellow — a voluntary, unpaid position. The Republican will focus on the state budget, government spending and debt, property rights, and “fighting federal overreach,” the group said. Combs, who did not seek re-election last year, served two terms as comptroller after she was first elected in 2006. She led efforts to make the comptroller's office more transparent. For instance, she created the website “Where the Money Goes,” which allowed Texans to see how each state entity spends its money. Additionally, she directed the agency to release new studies on economic trends in the state and to provide resources for local small businesses. But Combs took heat after her 2011 state revenue estimate, released amid the early days of the Texas drilling boom, was low by $11.3 billion, prompting lawmakers to make deep cuts in the next budget. Combs began her career in public office in 1993, serving two terms as a state representative. In 1998, she became the first woman to be elected Texas agriculture commissioner. In her two terms in that office, she slashed her agency’s budget by 18 percent. “We are delighted to welcome Susan Combs to the TPPF family,” Brooke Rollins, the foundation’s president and CEO, said in a statement. “As a dedicated public servant, fiscal conservative, and champion of transparency, she always put the liberty and prosperity of Texans first." Among the many groups jockeying for influence on Texas policy, the 26-year-old foundation has claimed its place at the head of the table. The group brought in more than $5 million in grants and contributions in 2013 (not counting donations for its new building) and, as of last month, employed 37 people full time. By comparison, the left-leaning Center for Public Policy Priorities pulls in about $2.5 million a year and had 19 full-time staffers as of last month. The business-backed Texas Taxpayers and Research Association has six staffers and brings in about $1.3 million annually. The Texas Public Policy Foundation's proposals to lower the sales tax using surplus oil and gas revenues, or to abolish property taxes through a "sales tax swap," were constant campaign fodder during last year's Republican primaries. Clarification: This story has been updated to clarify that Susan Combs' position at the Texas Public Policy Foundation is voluntary and unpaid.